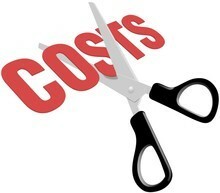 Reduce Expenses or Increase Revenues? If you are in financial trouble, what works? There are only two things you can do: Reduce expenses or increase revenues, and only one of those actually works. That is—reducing expenses. It’s because, for almost everyone, increasing revenues simply means they will spend more. I knew a guy in LA who made $450 million in a single year and ended up in trouble with the IRS the next year because he couldn’t pay his taxes. That’s right—he’d spent all of his $450,000,000 (on things like buying grand master paintings at upwards of $30 million a crack) and didn’t have enough left over to clear his $70 million tax bill. So, make a list of what you can do to reduce your expenses and work on that first. If your financial life is too complicated (not to mention everything else in your life), you will be unhappy, stressed and running around like the little Dutch boy putting his finger in an ever increasing number of random-forming holes in the dike. Remember—complexity is the enemy of success. So, how do you simplify your personal life, your professional fife, your business and your financials? Work on this first, then, and only then, figure out how to increase your revenues/income because, by that time, you might actually have learned how to keep some of it and invest some of it.